Additionally, the council approved a second resolution exempting and reducing the fees of 98 basic services charged by Abu Dhabi municipalities on the private sector. 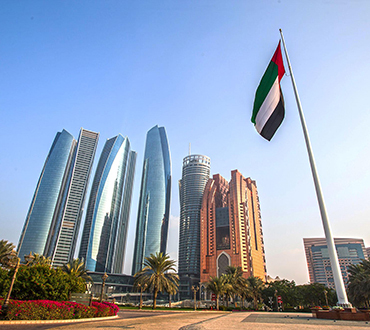 According to local authorities, the two resolutions are designed to help facilitate economic activities in Abu Dhabi as part of a larger effort to incentivise private sector companies and enterprises operating in the emirate. The first resolution applies to government fees for all commercial activities in Abu Dhabi and the emirate’s free zones, while the second resolution cancels the fees of 75 basic services in Abu Dhabi municipalities and reduces the fees of another 23 by between 10 and 50 percent. The two resolutions form part of the Abu Dhabi Government Accelerator’s Programme, or ‘Ghadan 21’. In September, His Highness Sheikh Mohamed bin Zayed Al Nahyan revealed that the programme – which has a three year, $13.6 billion budget – is based on four main tenets: business and investment, society, knowledge, innovation and lifestyle.